Maria Quintela CHT provides attentive hand therapy and met the stringent training, experience, and examination requirements for the distinguished CHT credentials. She is highly qualified to treat injuries and conditions of the arm, hand, wrist, and fingers. A Certified Hand Therapist is an occupational therapist or physical therapist who has at least five years of clinical experience which includes 4,000 hours or more in direct practice in hand therapy. 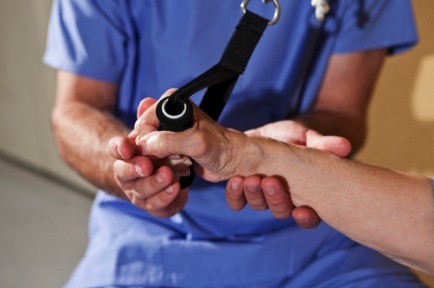 In addition to this experience required, each Certified Hand Therapist must pass a comprehensive test of advanced clinical skills and theory in hand & upper quarter rehabilitation.